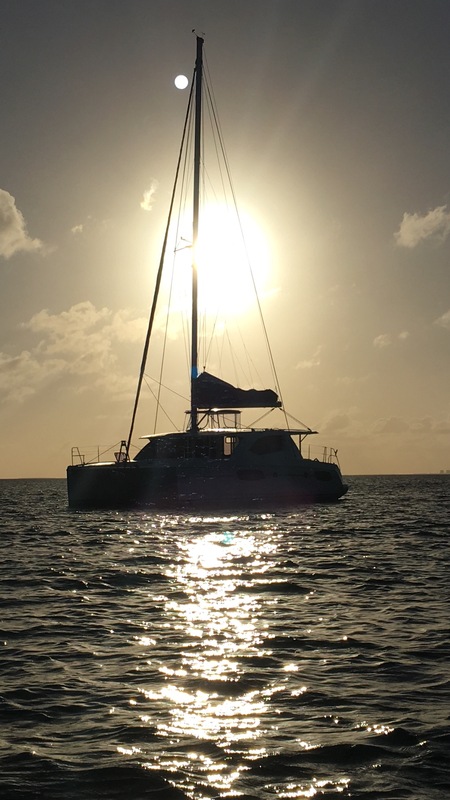 We just returned from The BVI after completing a boat survey and purchase inspection – a first for us. Although we’ve been to The BVI a couple times, this is our first experience buying a boat…and unfortunately (fortunately?) won’t be our last. I say “unfortunately” because the boat was not what we were expecting. We had done lots of research, had connected with the owner beforehand and knew he was a good guy, but the boat condition was just not at the level what we envisioned as “terrific” for a 4 year old catamaran. This was partly due to the boat being previously owned (current owner is the second) and partly because the current owner has been away from the boat for a couple months and is relying on a few 3rd parties to look after it for him. The boat just wasn’t in the condition we expected, nor wanted it to be in. In our opinion, there was too much wear for a boat of this age that was not in charter. In the end, the owner was not willing to budge on the price we agreed to prior to the inspection and survey, so we walked. A difficult decision, but the right one for us. Ensure the surveyor has tested all the key systems. This might be self-evident but we just assumed that he took time to ensure everything was working properly, especially since we asked him two different times during the day…and he hadn’t. Discuss and specify in advance what you want the survey report include. We paid for a complete survey and were disappointed that systems were omitted, only 4 pictures were included from the 100s we saw the surveyor take throughout the day. Only brief statements of the boat attributes were provided, an no visuals from actual damage to the boat were included. Luckily both John and I were taking as many pictures ourselves and did capture those items that concerned us towards the final price we were willing to pay. Take time to raise or unfurl the sails and tack a few times to get a sense of the rigging. You also want to really have had a chance to “feel” the boat underway, and this will give you the chance to go below and listen for any surprising noises that may be caused by a hidden problem with the boats structure. Each one handles differently and this one, if it’s going to be your home, needs to respond how you want. John insisted that we stay out longer for this reason when our on-site broker wanted to head back in after a short sail. Ensure the items listed as part of the boat are included and on board or are available for inspection. If there are items that add value to the overall boat package, make sure they meet your expectations. 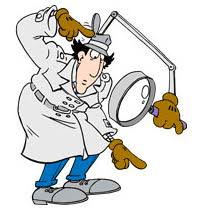 Ask questions, but don’t get in the way or bog down the surveyor during his inspection process. Be prepared for a long day. A thorough inspection on a 40+ foot vessel should take an entire day. You’ll need lots of water and some snacks. Fully inspect the boat prior to the surveyor arriving, to ensure you have had a chance to fully poke around and peek in all the compartments. If you live close to the boat, this could be done at any time, but if you’re travelling for the survey, ensure you schedule time before hand and allow for the survey to be cancelled in case you find any surprises. Take time to sit with the surveyor at the end of the day to discuss any items that you are concerned about, or further questions that you may have. Take TONS of pictures and note what you’re capturing. We used our iPhones and a pad of paper. This was invaluable when it came time to explain our reasons why we felt the boat was not worth our initial offer, and sat with a boat yard in order to demonstrate what it would cost to bring the boat up to acceptable state. Look around and spend time in different parts of the boat (including down below) at various times of the day. We discovered that late in the afternoon the air conditioning created a humid, tropical rainforest in the owners cabin with moisture literally running down the walls. Open up and smell deeply into every compartment. Open and close every shutter and shade. The first couple were fine but then none of the rest worked and several had mildew stains! Had I stopped at only the first 2 that seemed fine, I would have been very disappointed later. Talk to the locals. Chances are that someone knows the boat you’re inspecting and can tell you something about it. We booked a room at the same location where the boat was kept and had a casual chat with a guy who has a slip in the same marina and he told us it was a great boat…which it may be for some people. It’s just not in great shape and didn’t meet our expectations. Boat Purchase - Offer Accepted!